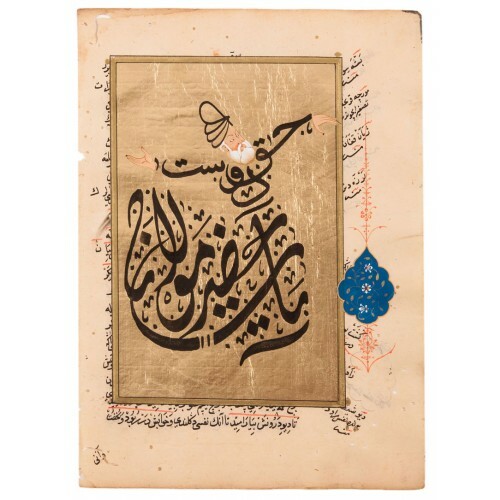 Calligraphic Whirling Dervish miniature was painted by the artist on gold foil with acrylic water colour paint over an ancient holograph paper. 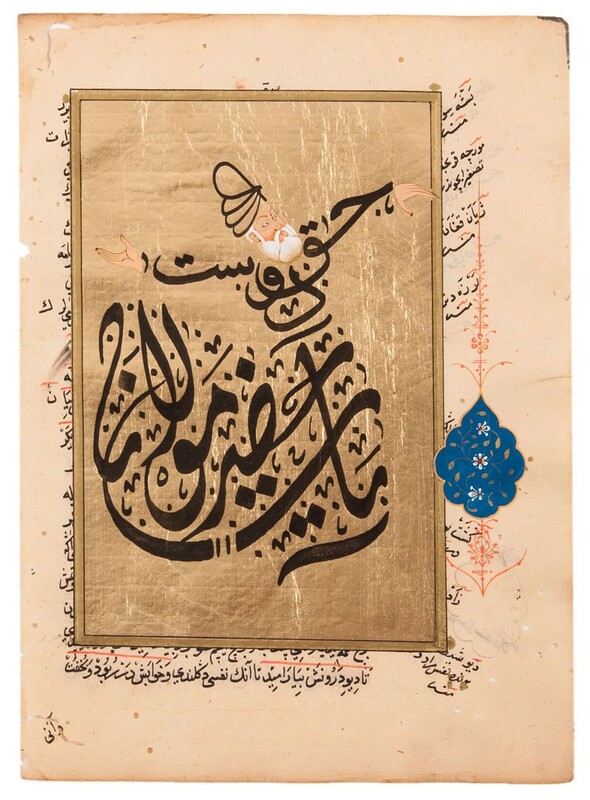 On the turban, body and skirt of the Dervish the calligraphic words "Allah", "Hak Dost" and "Ya Hazreti Mevlana" were printed, respectively. Dimensions: Height 20, width 14.5 cm.